“The worst cover-up ever”, said Donald Trump to CNN when asked to respond to the Saudi Arabian government’s claims that journalist and political defector Jamal Khashoggi was killed by rogue security operatives. Or was he killed in an investigation gone awry? It’s hard to keep track of events with Saudi Arabia changing its story every day or two. 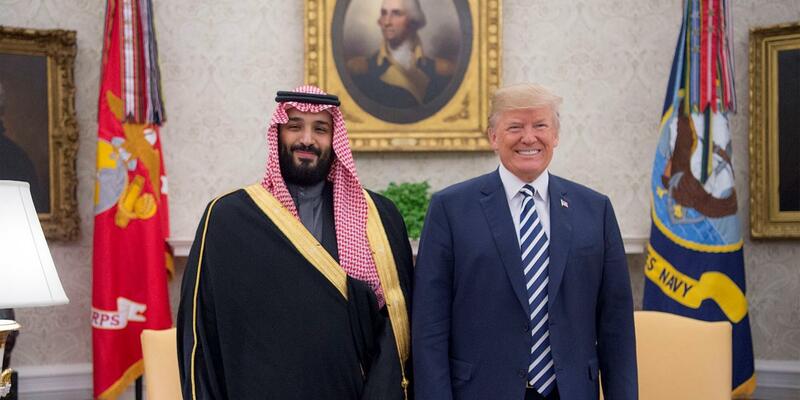 What is clear, however, is that there is no way fifteen men who happened to be working for Saudi intelligence took a private jet from Riyadh to Turkey to commit murder without having received the order from high-ranking officials in the Saudi government. In fact, this may be the first time President Trump has appropriately used the word ever. The cover-up of Khashoggi’s death may be the worst political assassination cover-up in history. Traces of the poison, a military-grade Novichok nerve agent, were found in the suspects’ hotel room. Alexander Petrov and Ruslan Boshirov in Salisbury on the day of Skripal’s attack. The suspects claimed to have been visiting Salisbury on holiday, but official investigations proved they were only in Salisbury for a few hours. When asked about this discrepancy during an interview on Russian state-owned television, the suspects replied that they cut their trip short because there was “too much snow and muddy slush” in Salisbury. It is inconceivable that two men from Moscow, a city which received a record-breaking snowfall one month before (47 centimeters in two days), ended their vacation early because there was some slush on the street. Despite widespread recognition that this is a lousy cover-up of a state-orchestrated hit on someone Russian President Vladimir Putin has personally described as a “traitor”, President Putin has continued to deny allegations of state involvement in the attack – insisting that “Petrov” and “Boshirov” are innocent civilians. Sending assassins to take out political dissidents in exile is not new – think Trotsky, an ice-pick, and an agent from the NKVD in Mexico. But when was the last time the murder of a low-profile defector such as Skripal and Khashoggi made the front page? It’s difficult to remember because it doesn’t usually make the news – and it’s not supposed to. When authoritarian governments target defectors, they try to make it look like an accident. This is because 1) murder is illegal, and 2) most countries take exception when another country kills someone they’ve given asylum to, since you know, it’s a violation of their sovereignty. That is why the Khashoggi and Skripal cases are so bizarre. Killing a known critic of the Saudi Arabian government in the Saudi Arabian embassy and using a poison that is only made in Russia against a former Russian spy are such obvious indications that the respective regimes are guilty; they might as well wear signs saying, “I dun it”. The incompetence displayed by the agents of these attacks is also striking in the context of Saudi Arabia and Russia. Both countries’ intelligence services get a lot of use, so to speak. It’s remarkable that such rookie mistakes were committed by countries with highly experienced security agencies. Given this, the question we must ask is: how could there have been two cases of political assassinations so carelessly committed and covered-up within months of each other? 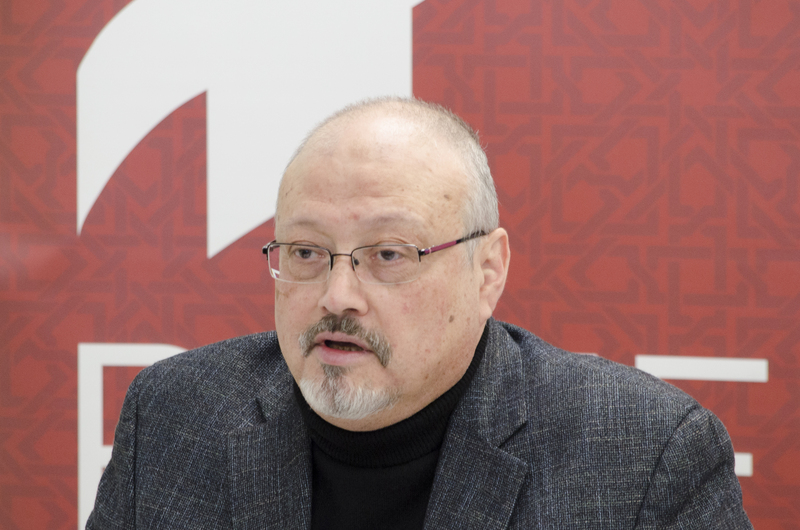 Jamal Khashoggi offers remarks during POMED’s “Mohammed bin Salman’s Saudi Arabia: A Deeper Look. It could simply be a coincidence. More likely though, these cases signal an increasing indifference among authoritarian countries towards getting caught. Authoritarian leaders feel less and less need to feign respect for human rights and international law. This shift in attitudes is a consequence of the Trump administration’s blatant rejection of liberal values and its policy of isolationism. Trump has made it clear that as long as they pose no threat to the American economy, dictators can do whatever they want. Don’t believe me? Read Trump’s refusal to condemn Saudi Arabia for Khashoggi’s killing. If authoritarian regimes like Russia and Saudi Arabia have always engaged in nefarious activities, why does it matter? One could argue that this isn’t so much a carte blanche as a card that reads, ‘Keep Calm and Carry On’. However, proponents of this argument would be wrong. This newfound freedom to flout international law is emboldening dictators to act boldly. Moreover, this newly issued international license to commit repression without consequence is a powerful tool that will likely strengthen authoritarianism around the world. Just consider the effect of Khashoggi and Skripal on future dissent in Russia and Saudi Arabia. Citizens will be unwilling to openly oppose the regime because no one will stop the government from brutal retaliation. Trump’s dereliction of the liberal world order makes global affairs look like Gotham City. Admittedly, the liberal international order has always been a sort of myth. It has always been devised, first and foremost, to serve American interests. The United States has always backed dictators and thwarted the democratic process in regions where it believed public self-determination would conflict with American interests. During the Cold War the United States supported dictatorships in Greece, Iran, and South Korea – just to name a few. Over the last several decades, the United States has knowingly backed repressive regimes in the Middle East to “maintain regional stability”. American policy has stayed the same though the supporting language has changed. Although the enforcement of international law has always been weak and selective, there used to be at least some fear of repercussions. As the largest economy, the United States has the greatest power to enforce the rules. In 2014, when Russia annexed Crimea, the United States imposed sanctions and moved to expel Russia from the G8. In the summer of 2018, with Crimea still very much under Russian control, the President Trump reversed some sanctions against Russia and suggested Russia be readmitted in what is now the G7. The Iran nuclear deal only came to fruition because of the toll of American led sanctions on Iran’s economy. Despite Iran’s compliance with the agreement, Trump has imposed even harsher sanctions against Iran. Yet, it seems that by building a bomb and threatening nuclear warfare, North Korea managed to strike a deal of denuclearization with the United States in which they received significant concessions such as the halting of US military exercises in South Korea. Not only is America’s new foreign policy confusing, but it appears that visibly authoritarian leaders have the best relationship with President Trump. The United States cannot just create the rules of the game and then throw the rule book out the window. Consider it this way: international relations are like a soccer game. The United States is the referee and the rest of the world are the players. Even with a referee, there will always be players who cheat or foul. However, the referee acts as a deterrent for most other players. Even those who do cheat, do so sparingly. Getting caught breaking the rules one too many times results in a red card. But what if the referee just left mid-game? Although in this case, a more accurate depiction of the United State’s behaviour is if the referee suddenly started giving points to players who cheat and doling out penalties to regular players. What then? Those players with a penchant for breaking the rules will do so freely and openly. The other players, with no more incentive to play fair, will start fighting fire with fire. Next thing you know, there’s a full-scale brawl on the field. The last time the US was this firmly isolationist was during the interwar years. Also transpiring during that period was the rise of populist governments, the consolidation of autocratic governments in Eastern Europe, political discourse infused with xenophobia, and a growing sentiment that the international organizations set up to resolve international disputes were ineffective. The players and the tools of today may be different than a hundred years ago, but the similarities are striking. They say that those who do not learn the mistakes of the past are doomed to repeat them. Thus, I implore you to blow off the dust and crack open that old textbook sitting in the shelf. A quick glance at the pages of history reminds us that violence and repression flourish when we, the public, stay silent instead of holding leaders accountable for their wrongdoing. It starts with the murder of political dissidents going unpunished, and it could very well end with a world war. Brianna Paris Proceviat is a U3 student currently pursuing a degree in Political Science. Concerned about the future of democracy around the world, she specializes in the workings of authoritarian regimes, particularly in the Middle East. When Brianna's not thinking about how to rig elections or the curse of oil, you can often spot her at BDA, dancing to Taylor Swift.